Yellow rice one of the dishes that is usually found common is many srilankan households, whether it is a party, a small get together or an elaborate wedding. I have grown up eating this dish in each and every special occasions. Yellow Rice or Kaha Bath, as called in sinhala ( Sinhalese mother tongue) is just a simple rice dish cooked with coconut milk. It goes very well with any veg or non-veg curry. Soak the rice for 1 hour. Pour out the soaking water and wash the rice in several changes of water, until the water runs clear. Leave it to drain in a fine meshed strainer for about 10 minutes. Heat ghee in a large sauce pan over medium heat and add the bay leaf, cardamom pods green chillies, pandan leaf and onion. Saute until the onion turns golden brown. Add the ginger garlic paste and saute until the raw smell disappears. Add the rice and saute for 3 minutes. Add the water, coconut milk, turmeric powder and salt. Bring to a boil over high heat. Reduce the heat to the lowest setting, cover the pan and cook until the rice is done, 10 to 12 minutes. Do not stir in between. Remove from the heat and let the rice rest, covered for about 5 minutes. Fluff it with fork and serve. Chicken curry can be cooked in so many ways and i follow this method as it is much easier to cook . Just throw in all the ingredients in the pressure cooker and you are ready with a tasty chicken curry. Wash the chicken and keep it aside. Heat oil in a pressure cooker over medium heat. When hot, add the cardamom, bay leaf, cinnamon, curry leaves and onion, fry until the onion turns golden brown. Add the ginger garlic paste and tomatoes and cook until the raw smell disappears and tomatoes turn mushy. Add the chicken, all the spice powders, water and salt.Saute well for about 3 minutes. Cover and let it cook in a medium flame for 3 whistles. Once the pressure is released, open the lid, at this stage the curry will be little watery. Switch on the flame to medium heat and let it simmer for 5 minutes or until the curry has thickened. 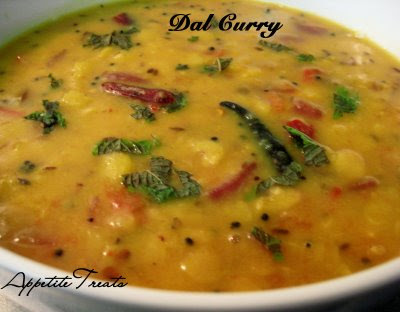 Add the coconut milk and coriander leaves. Mix well, taste for seasoning and add more salt if needed. 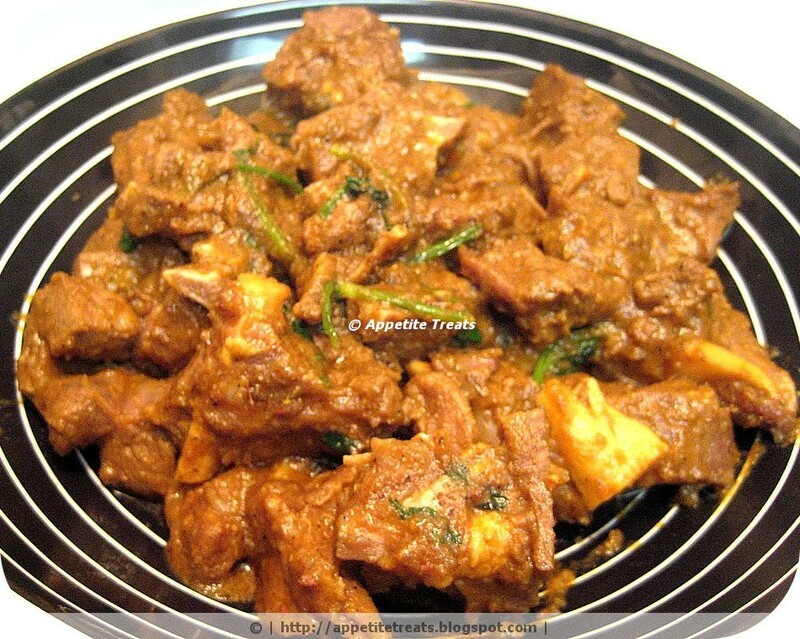 Lamb pirattal is a very simple and quick dish that can be made in no time and also it tastes so good with rice or rotis. Heat oil in a pressure cooker,add in the cardamom, cinnamon, cloves, cumin, fennel and fry.Add the green chilies and onion, saute till they become soft. mix in the tomatoes and saute well till they become mushy and all the water is evaporated. Add the lamb pieces and mix well,now add the spice powders, salt and mix the lamb well to coat with all the spices. Add a cup of water and bring to a boil. Close the lid and pressure cook for 3 whistles.Once the pressure is released open the lid and reduce the remaining liquid on a medium heat until the lamb becomes dry. This mutton dish is such an spicy dish that feels good for the cold weather. This cook book contains most of the auhtentic kerala dishes. I found this chicken kurma that was supposed to be the muslim version, But it was more or less same as the one we make at home. The original recipe called for cashew-coconut paste, but i used peanuts instead of cahews. 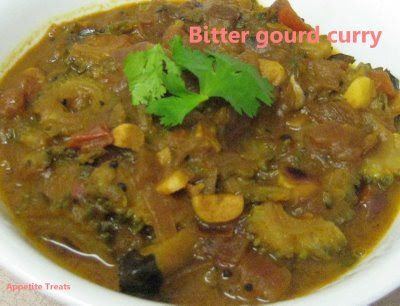 It turned out to be very flavorful and different from the normal kurma. Combine the coconut,poppyseeds,peanuts and 1/3 cup water in a blender. Grind to form a smooth paste. Set aside. Combine the coriander,cumin,pepper,chilli powder and turmeric with a little water in a blender. Grind to a paste and keep aside. In a deep pan, heat oil. Fry onions until lightly brown. Stir in garlic,ginger,green chilli, and fry for 1 minute. Add the tomato, 3tbs cilantro, ground masala, garam masala, salt and 1/2 cup water; fry until the tomato breaks down and form a paste. Add the yogurt and stir until it dissolves. Add the chicken and bring to a boil. Reduce the heat to medium-low, cover and simmer for 30 minutes, util the chicken is cooked through. Add the coconut paste to the chicken and simmer for 10 more minutes. When it comes to making a spicy dish, i always opt for chicken. However you make them, the result turns out to be good always. It was raining here in CA yesterday and sankar decided to work from home. So i thought of preparing a spicy chicken for him. He is more of a health concerned person, eating 6 meals everyday with grilled chicken and lots of veggies. However he has allotted one day in week for eating normal food, like this one. I call it a free day as i have to cook one meal unlike the remaining days cooking three different meals [ including the little one ]. This is simple curry with not a lot of ingredients. Even the spices can be adjusted according to your taste. The chicken requires a little marinade, other than that it does not take a lot of time and work. Make a marinade by grinding all the ingredients together into a fine paste. Mariande the chicken pieces and leave it for atleast 1/2 hour. [if using a chicken thigh, make small slits for the marinade to enter ]. Heat oil in a pan, add the onions and saute till translucent. Add the ginger garlic paste and saute for few minutes. Now add the chopped tomatoes and cook it they turn mushy. Add the chicken to the tomato mixture along with salt and water. cover and cook for 20 minutes or till the chicken is done. If you prefer a dry consistency,then reduce the amount of water. Finish it off with corinader and garam masala. 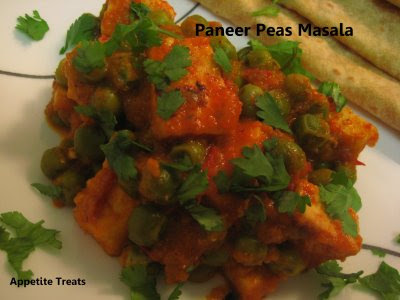 Heat oil in a pan, add in the cubed paneer anf fry till it turns golden brown on all sides.keep it aside. In the remaining oil, fry the onions.grind the onions along with tomatoes to from a puree. Cook on a medium heat until oil seperates from the gravy. Garnish with coriander and serve warm . Dry roast corriander, cumin , and peppercorns in a small dry skillet for 2 minutes . Put them in a grinder and buzz the spices to a powder.Add the spice blend and remaining ing to a food processor , grind everything down into a paste by adding water. Add oil in a pan , saute onion and green peppers .Add in lemongrass,ginger,currypaste and lime leaves , stir for 2mins. Pour in coconutmilk and chickenbroth. lay the chicken pieces in the mixture to poach. Add salt, stir together and simmer over low heat for 10 to 15 mins. Squeeze in lime juice and shower with basil and cilantro. Cut bitter gourd into thin round slices.wash them and mix them with 1/2 tsp of salt and turmeric powder for 15mins. Heat oil in pan. add mustard and methi seeds, let them splutter.add in curry leaves, garlic and onion and fry till they become transparent. Add tomatoes and cook them for 3mins.add in bitter gourd and tamarind juice.let it cook for 5 mins. Add corriander powder,curry powder,and salt,mix them together.add in required amount of water. let it cook until it forms a thick gravy. Add fresh parsley and serve with hot rice or chappathi.